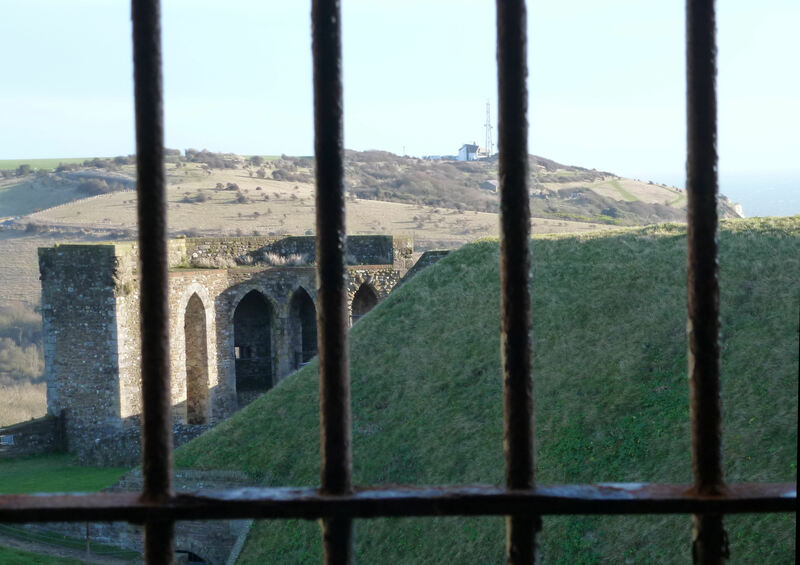 At the beginning of the English Civil Wars and the Interregnum (1642–1660), a Dovorian and his friends captured Dover Castle from the Royalists, who supported Charles I (1625-1649), and quickly myths grew surrounding the event. At the same time, the vicar of St Mary’s Church, Royalist John Reading, stood by his convictions. By the 19th century, their stories were part of Dover’s folklore but unfortunately they had been re-written as a novella that centred on a romance between Dawkes and the daughter of the Rev. Reading and the real story was lost. Richard Dawkes was born in 1606 and was related to the owner of a hostelry in King Street known as the ‘Fleur de Lis Inn’. Richard married Dorothy Stokes in 1638 and appears to have had a son, also called Richard, but who died in 1640 when he was three days old. At the time, the country was splitting into two sides, those who supported King Charles I (1625-1649) – the Royalists; and those who supported Parliament – known as Parliamentarians or Round Heads – from their helmets. Dover’s political allegiance was also split, with the Dover’s Member of Parliament (1640-1646) and Lieutenant Governor of the Castle, Sir Edward Boys (1579-1646) sitting on the proverbial fence. In the years leading up to the Civil Wars, Charles I had demanded ship money, a form of tax. The town had not long before been obliged to billet Count Mansfelt and his legions, for which they had not received any financial help – the subject of another story. So even if the town father’s had wanted to oblige the King over the tax, they were not able to but the King’s representatives still demanded the money. The majority of folk belonged to the Anglican Church, which supported Charles I, attending one of Dover’s two churches, at that time, St Mary’s and what is now referred to as the old St James’ Church. However, there were a growing number of locals who preferred the Puritan or Non-Conformist faiths. The uncompromising Archbishop of Canterbury, William Laud (1573-1645), in and attempt to ensure the religious conformity of officials, in 1641, asked them to sign a petition to preserve the liturgy. Dover’s Mayor, Thomas Teddiman, and all but one of the Jurats (senior councillors) acquiesced but of the 36 common councilmen, fifteen declined to sign. Albeit, when the Civil Wars broke out in 1642, the town was one of the first places in Kent to declare against the King. The Castle was in the hands of the Royalist Lord Warden (1640-1642), James Stuart, Duke of Lennox (1612-1655). During the summer of 1642, shiploads of horses and men had been coming through Dover from the Continent in support of Charles I. Alarmed, Richard Dawkes went to London, saw the appropriate officials and offered to seize the Castle in return for a Commission in the Parliamentary Army. This was promised and he returned to Dover, meeting fellow conspirators in the Fleur de Lis Inn. In the meantime, as James Stuart had left to support Charles I on the battlefields, Sir Edward Boys had been appointed nominally in charge of the Castle. Knowing the Castle fortifications well, at 02.00hrs on the night of 20-21 August, Richard, along with between 20 and 30 men, scaled the walls between Averanche’s Tower and the edge of the cliff and disarmed the guards. They surrounded the porter’s lodge, beating on the door until the guard surrendered the keys, then unlocked the Castle gates. They collected all the ammunition they could find and sent word to the town for reinforcements. Sir Edward Boys, who was in the town at the time, told the Mayor, Thomas Cullen, to ignore the request and raised a Trained Band – local men who had undertaken basic military defence training. Boys’ strategy was to starve Richard and his colleagues out and on realisation of this, some of Richard’s men did desert him. Nonetheless some ‘well-affected people of the Town…’ did manage to send more weapons and ammunition up to the beleaguered Richard and he managed to despatched messengers for help. These were sent to Canterbury and the Medway area, where Parliamentarian, Nathaniel Rich (died c.1701), was camped. Both the city and the Lord Rich sent 40 men each with the latter ordered two ships, ‘to ride near the castle, and to keep town in awe, till Parliament shall do something for settling thereof.’ All of this persuaded Sir Edward Boys to revoke his earlier orders and along with the townsfolk went to help Richard and his colleagues. When the Castle was safely in the hands of the Parliamentarians Richard went to London to take up his Commission … but what he saw as his promised right, was refused! Reverend John Reading (1588-1667) , the vicar of St Mary’s Church was a Calvinist who had been appointed chaplain to Edward, Lord Zouch, Lord Warden of the Cinque Ports in 1614. The Reverend came from a poor Buckinghamshire family but as a bright young man he had worked his way through Magdalen Hall, Oxford, where he gained his degree. Rev Reading’s sermons were controversial but very interesting and following a particularly memorbable sermon at a Castle funeral, by popular acclaim, he was elected to St Mary’s Church with a salary of £100 a year. As his fame spread, Rev. Reading was appointed to the chaplainry of Charles I. In April 1642, before Richard Dawkes had captured the Castle, a local Parliamentarian force under Edwin Sandy’s junior had tried but failed to do the same. They then turned their attention to the Rev Reading and raided his house. The morning following Richard Dawke’s captured of the Castle, Rev Reading preached a scathing attack on the Parliamentarians at St Mary’s. This provoked another raid on his residence, when manuscripts were seized and the Reverend was arrested. St Mary’s was then ravaged and the Font, made of Purbeck marble, was ripped out and disappeared (see Walk around St Mary’s Church story). Rev Reading was imprisoned in the Castle for the next nineteen months. On the order of Parliament, John Godwin was brought in as a replacement and on his death, Michael Porter. Albeit, Charles I still had some power and he made it known that he was angry that one of his chaplains had been imprisoned, so when Rev Reading was released he was given the living of Cheriton. There he wrote a controversial annotation of the Bible causing the Parliamentarians displeasure. One of those who helped him was Dovorian, Rev Basil Kennett, the father of Dr White Kennett. Rumours were rife but when it reached the ears of Sir Edward Boys that the Royalists were about to attack the town, he issued the order to ‘chaine upp the streetes and to fortify the towne at all speed’. 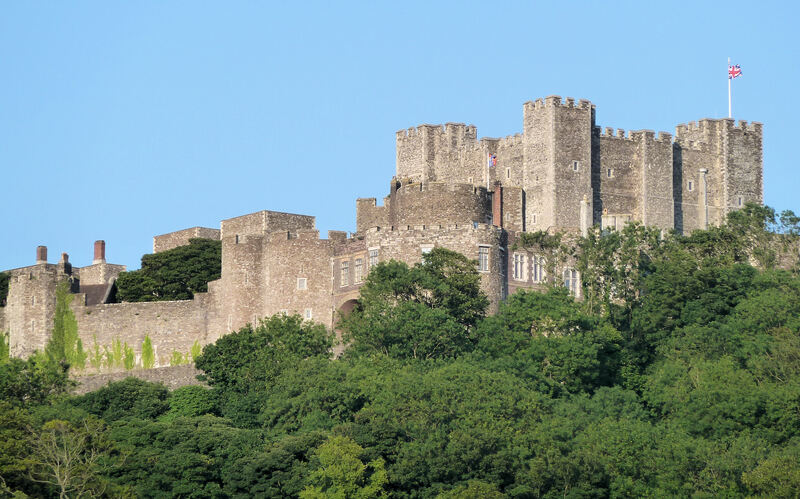 By this time Edward Prescott of Guston was the Captain of Dover’s Trained Band and Mayor Cullen decreed that £100 be spent on defences and for the townsfolk, ‘to worke and labour,’ until these were completed. 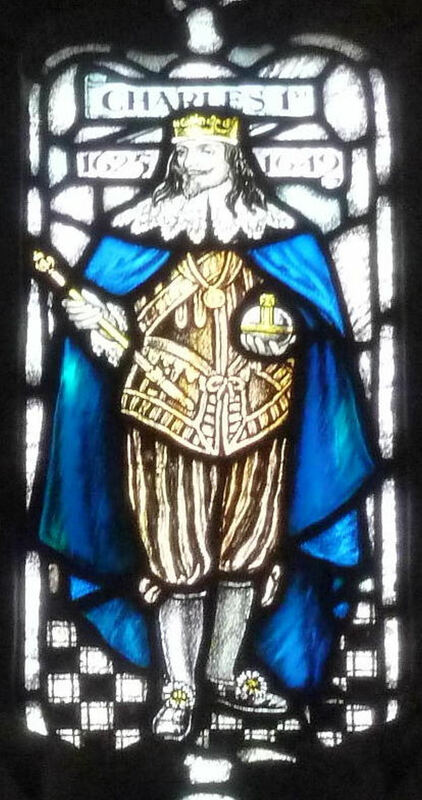 Richard Dawkes, still seething over the lack of a Commission joined the Royalists and obtained a Royal Commission from Charles I to retake the Castle. The attack was to take place in September 1643 and the plan was to drug the sentries beforehand. However, just before it was put into effect two of Richard’s friends, Belton and Tillet, betrayed Richard and his other conspirators. A significant number of Dovorians being imprisoned in the Castle including Richard. Shortly after he disappeared for good – it is believed that he was executed. On 20 January 1644, the Parliamentarians ordered all Kent churches, to read an account of the plot. Members of congregations were then asked to stand up if they approved of the action taken – of course, they all did. The tide though, was beginning to turn and a year later, the locals were openly threatening the ‘Roundhead rogues.’ In order to weaken the power of the Jurats – the majority were Royalists – constitutional changes were introduced on 20 May 1644. At the time, the Freemen chose common councilmen and from these the Jurats were appointed for life. It was from the Jurats that the Mayor was appointed. This was changed to the Freemen appointing Jurats and electing the Mayor. Nine new common councilmen were then elected, they were, John Kenton, George West, Randolph Partridge, Edward Chambers, Richard Knight, Thomas Fidge, John White, John Finch – he never served – and Thomas Brendon. William Richards and John Broome – a Royalist, were elected, from the common councilmen as Jurats. A month later Jurat, Thomas Day, a staunch Parliamentarian, was elected bailiff for Yarmouth. During the winter of 1645/6, Rev. Reading was re-arrested for alleged complicity in another plot to take Dover Castle and was held prisoner in Leeds Castle, near Maidstone. Following his release, with few possessions and no job, he was incarcerated in the Fleet debtor’s prison in January 1647. Eventually released, Rev Reading returned to East Kent, but in March 1650 he had a public dispute in Folkestone against Baptist, Samuel Fisher. This was against un-ordained preaching in the Anglican Church and again the Reverend was in trouble. St Mary’s Church Sundial erected in 1656 to ensure that councillors arrived at meetings on time. In the meantime, his former Dover parishioners at St Mary’s sent a petition to Parliament asking for Rev. Reading to be restored. This was refused and John Dykes, 1647-1650, was appointed followed by John Robotham, 1650-53, Nathaniel Northcross, 1653-54 and finally Nathaniel Barry, 1654-1660. 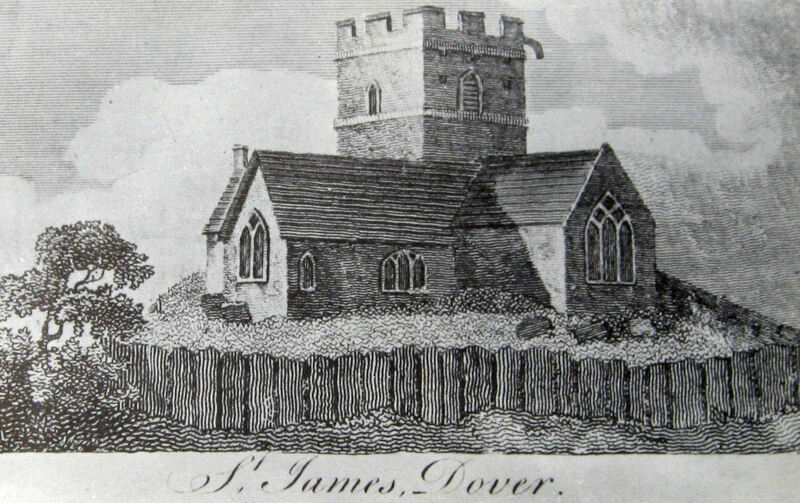 The Mayor and Jurats’ meetings, as well as all elections, from 1585 to 1826, were held at St Mary’s Church and before meetings commenced the Minister perform prayers. 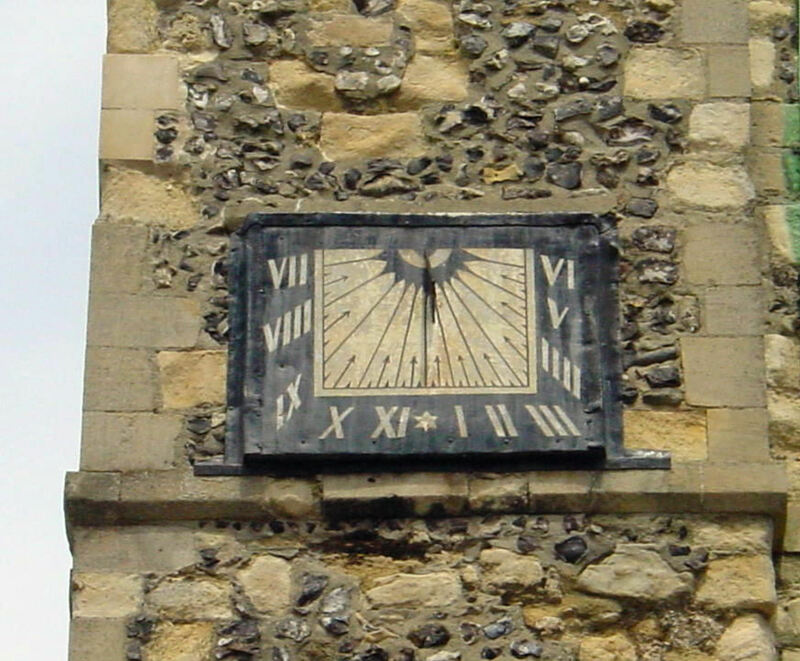 To ensure that the Councillors were on time the sundial, we see today, was erected in 1656. Following the death of Edward Boys in 1646, John Dixwell (1607-1689), a Parliamentarian, became Dover’s Member of Parliament. As the town’s representative, he succeeded in getting the harbour defences strengthened, which proved invaluable at the time of the Battle of Dover in 1652 . However, in 1649, he was one of the Regicides who signed Charles I death warrant. Following the Restoration, in 1660, a warrant was issued for Dixwell’s arrest and he fled the country. By 1647, Royalist sympathisers in Dover were openly hostile to the Parliamentarian troops threatening to make them ‘ere it be long eate or love Christmas pies…’ , and were circulating ‘scandalous verses’ and singing songs hostile to Parliament. Since the Civil Wars began, Dover had lost 50 ships and according to a council letter, the town had paid Parliament £5,000 in various ways. Such was the town’s poverty that when a ship in the Mediterranean, with a Dovorian on board, was captured and a ransom demanded, the town had to ask other Cinque Ports for help. It is doubtful that the ransom was paid. At Christmas, that year an ordnance was published throughout Kent requiring strict religious observance. This meant that fairs and the celebration of Christmas were banned. In Canterbury there was a revolt and although quickly suppressed it spurred other towns and villages to follow suit. Soon the whole County was in revolt. One of the ringleaders, Sir Richard Hardres, together with 2,000 men, seized Dover’s Mote Bulwark, which was full of ammunition. They then went on to try to storm the Castle but failed, nonetheless, they held siege to it. 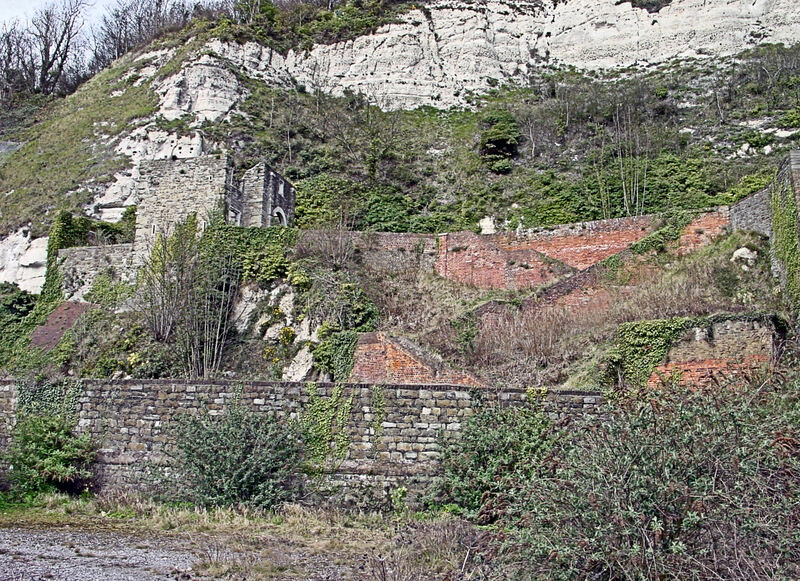 Lord Rich was detached to relieve Dover and recover the castles along the coast that had fallen into the hands of the Royalists. On 30 May, Parliamentarian Colonel Birkhamstead relieved Dover Castle and Lord Rich retook Walmer, Deal and Sandown Castles. For Dover’s part in the revolt, the townsfolk were made to pay dear. War was declared against the Dutch in 1652 and Dover became a major victualling post for the ships involved in the conflict. In September, Admiral Blake, commanding the English fleet, defeated the Dutch and following this the Dutch were ordered to dip their flag when passing through the Downs. Forty-four ships of the Dutch fleet under the command of Admiral Von Tromp refused and the fierce Battle of Dover began. Reinforcements were provided by Dover seamen and in gratitude, the Council of State wrote thanking the Mayor and promised money for a new pier, repairs to the harbour and payment for sick, wounded and prisoners billeted in the town. Although £1,227.16s 5d (£1,227.82p) was received, most of this was taken up in ‘charges’ and in 1655 the town was forced to sell three small maces to pay for harbour repairs and meet it’s debts. 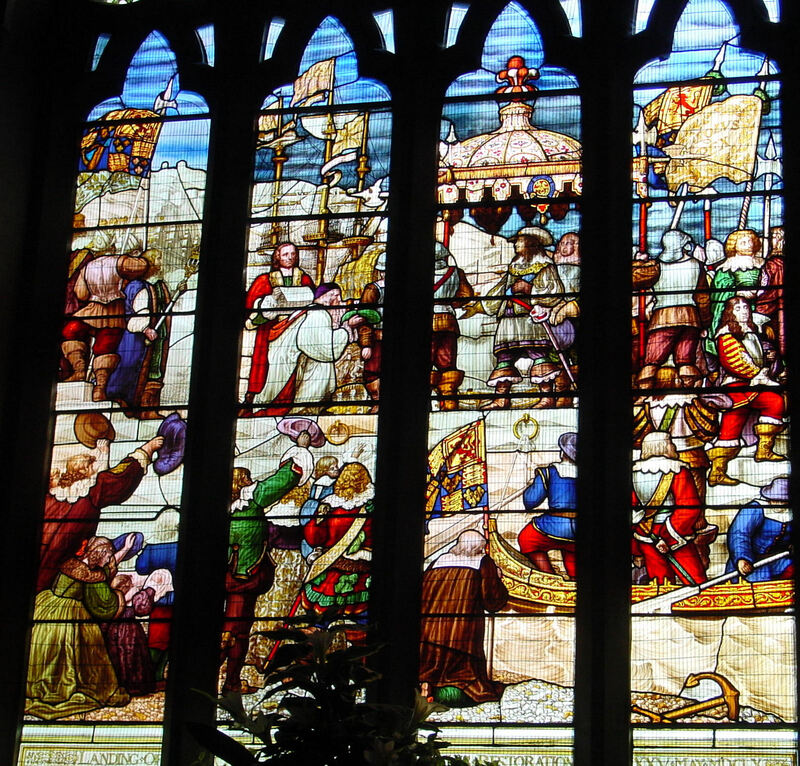 Although Cromwell was tolerant of the right to private worship of those who fell outside evangelical Puritanism, his regime was intolerant of any acts of public worship. Edward Prescott of Guston, although elected Mayor in 1653, was forced to hold Baptist meetings in isolated fields and woods. On one occasion Captain Samuel Taverner, Governor of Deal Castle came across such a meeting but instead of arresting the Mayor and his congregation, stayed and listened. So impressed was Taverner that he joined the congregation and following the Restoration resigned his commission and eventually became a senior exponent for the Baptists in Dover. The following year, 1654, Valentine Tatnell was elected Mayor and with the full approval of the Common Assembly, he along with a Jurat, two common councilmen, two constables and a churchwarden, walked around the town every Sunday morning and afternoon. They checked that all the alehouses, inns and premises believed to be holding religious meetings not conforming to evangelical Puritanism and other places were closed. They arrested and imprisoned all those they believed to be infringing the prevailing statutes. Contempt was growing and when Oliver Cromwell died in 1658 moves were made to restore the monarchy. At St Mary’s Church, Nathaniel Barry was replaced at St Mary’s by Rev. Reading. Charles II landing in Dover 25 May 1660. Maison Dieu window. The Interregnum ended on 25 May 1660 when Charles II (1649-1685) came ashore at Dover and was Restored to the throne. That day, Rev. Reading welcomed the King on Dover beach, giving him a bible. Charles had arrived in a rowing boat such was the poor state of the harbour! Two years later, Charles II granted the Passing Tolls Act for eight years but this did not raise enough money to make the harbour improvements needed. Nathaniel Barry, whom Rev Reading replaced, was to suffer persecution in the years that followed. 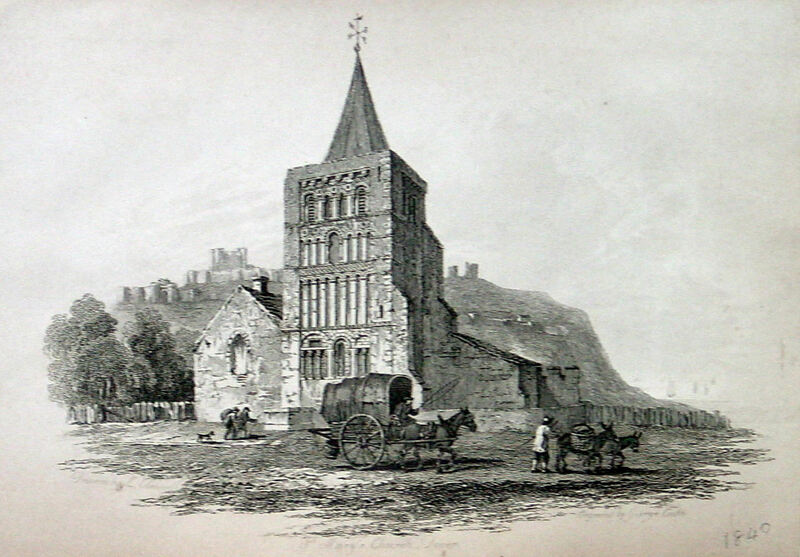 The Fleur de Lis hostelry, where Richard Dawkes conspired to take Dover Castle, was later renamed Flying Horse Inn after the fastest stagecoach to London that left from there. The Inn was demolished to make way for a new General Post Office in 1892 but the Inn was remembered by the adjacent St James Lane being renamed Flying Horse Lane. Reverend Reading was reinstated at Chartham, near Canterbury, although stayed at St Mary’s until August 1662. He died at Chatham on 26 October 1667 and was buried within the church there. This entry was posted in Civil Wars and Interregnum, Dawkes Richard - the Civil Wars and Interregnum, Dawkes Richard and Reverend John Reading - the Civil Wars and Interregnum, People, Reading Reverend John - Civil Wars and the Interregnum. Bookmark the permalink.